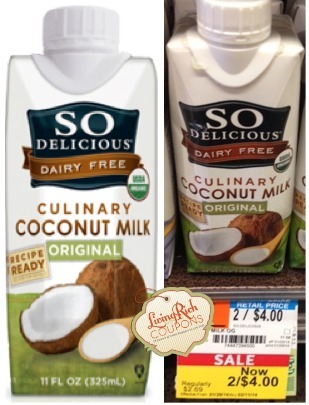 SO Delicious Culinary Coconut Milk Just $0.67 at Whole Foods! This week Whole Foods has the SO Delicious Culinary Coconut Milk on sale for $2 each. There is a $1.00 off ONE (1) So Delicious Dairy Free Product available to print right now, as well as a $1/3 SO Delicious Whole Foods Coupon that we can stack to grab these SO Delicious Culinary Coconut Milks for just $0.67 each! Great price! Be sure to check out the rest of the Whole Foods Deals for the week before you shop. 25 New Kelloggs Family Rewards Points – Become a Member Today!